Cultural dances are so precious to many civilizations, as they often contain pieces of their history and livelihood that would otherwise be lost. The American Indians are an example of this, as many tribes have looked to dance in the past as a way to convey joy, mourning, and even times of battle and war. The same is true at the roots of many people groups, as dance is a common language that unites us all on some level. Below are just a few of the cultural dances that are still in existence around the world today. Australia can often seem a world of its own, and there are a wide variety of dances this continent plays host to. On today's modern forefront, ballet is more popular than ever before. However, social dance has also prevailed, thanks to the success of movies such as Strictly Ballroom (set in Sydney), and the Australian version of the television show Dancing With The Stars. Before any of this took place, bush dancing was popular in Australia. 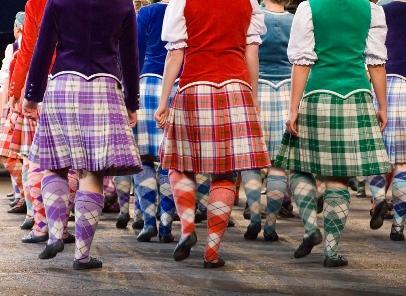 This is considered the ultimate in traditional Australian dance, and actually draws upon other cultures that have settled on its land, such as the English, Scottish, and Irish. European descent is often prevalent in community cultural dances, and you will often see different styles come out of various immigrant communities throughout the country. While American recreation centers often offer tap, jazz and ballet; in Australia you will often easily find a way to sign up for African, Indonesian or Indian dance, further embracing the melting pot of cultures and heritages that make up this appealing nation. In modern times, Bollywood has dominated the dancing trends of this Asian country, much as how Hollywood has directed America toward hip hop dancing and social dance. While the mainstream dances of today's Western culture can be found throughout India, this country has succeeded well at holding onto its original classical dance forms. There are eight distinct styles of Indian dance, and these can all be traced back to a specific people group or region. The eight styles found are known as Bharatanatyam, Kathak, Odissi, Kuchipudi, Mohiniattam, Manipuri, Sattriya and Kathakali. There are also separate traditional dances for various religious festivals and other cultural events not found elsewhere in the world. India holds fast to some of the oldest roots in dance, as its styling can be traced back to the year 400 BC, and many of their folk dances continue to worship and pay homage to the same gods as their ancestors did so many years ago. While most cultural dances are limited to a certain area of the world, folk dancing has enjoyed wide exposure and popularity internationally. In fact, International Folk Dance itself is a wonderful fusion of multiple ethnic groups performing various dances as one. To participate in International Folk Dance, you do not have to be a certain nationality, as the dances are derived from different regions all over the world, providing a melting pot of movement that is beautiful and impressive to watch. The history of folk dancing is rooted in the aspirations of early 20th century American immigrants, namely the Lithuanians who emphasized the importance of dance within a community and began the joining together of cultures and interests. Today, international competitions and festivals are held all over the globe, and there are dance clubs focusing on International Folk Dance in Europe, Japan, Australia, Canada and the U.S. Many dance camps are provided to young people over the summer months to further promote this dance form's unique styling and technique. All cultural dances have experienced an evolution, where traditional standards were either upheld or given up to more modern style choices. No matter what direction they have taken, cultural dances continue to hold our history, our livelihood, and our passions as a people.